David Ortiz already has his own bridge. Now he’s getting his own road, too. Boston Mayor Martin J. Walsh on Thursday will officially unveil David Ortiz Drive in honor of the retired Red Sox designated hitter. Red Sox fans probably recognize where exactly this road is located — because it’s just a renaming of the current Yawkey Way Extension. Walsh will be on hand with top Red Sox brass Tom Werner and Sam Kennedy, as well as Boston public school student athletes — and, of course, Big Papi himself. The ceremony will take place at 12:30 p.m. between Brookline Avenue and Yawkey Station, according to the mayor’s office. 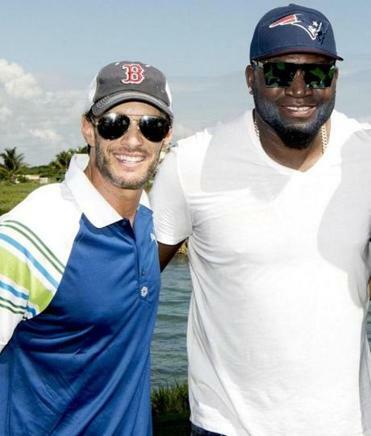 David Ortiz will be skewered by comedians at the House of Blues on Thursday. The star Red Sox slugger retired last season and was feted in October at a pregame Fenway Park ceremony. He is also having his jersey retired Friday by the Sox, and Thursday night he’s the subject of a comedy roast at the House of Blues. 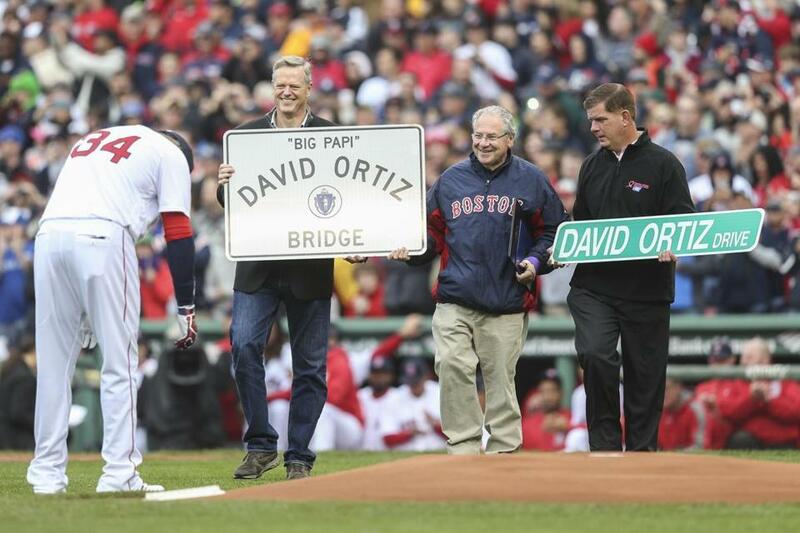 During the ceremony, Massachusetts Governor Charlie Baker showed off a “David Ortiz Bridge” sign, which was later installed on the bridge over the Massachusetts Turnpike on Brookline Avenue. “David Ortiz is a true Bostonian, and he embodies the spirit of our great city,” Walsh said at the ceremony. Yawkey Way Extension, which connects Maitland Street and Brookline Avenue, was built in 2013 and given the temporary name. The street also features a pedestrian plaza that’s lined with the retired numbers of Red Sox greats. Meghan E. Irons of the Globe staff contributed to this report.